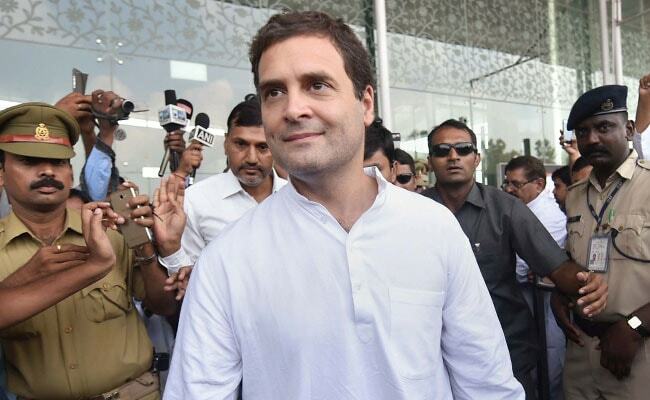 Rahul Gandhi is set to take over as Congress chief from his mother Sonia Gandhi after Diwali, sources have said, with the party now wrapping up an elaborate process of electing state chiefs, members of central bodies and the president. Unless an intrepid Congress leader suddenly decides to take on Mr Gandhi, he is expected to be elevated unopposed like his mother has been for the last 19 years. Congress leaders say a contest is highly unlikely given how overdue most in the party consider Mr Gandhi's accession to the top post. 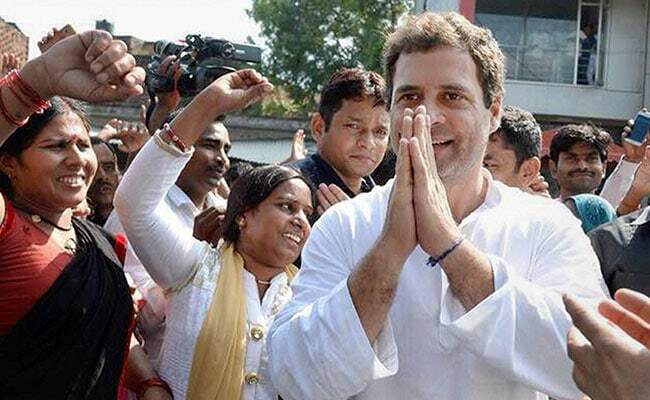 "Only two people can be Congress president, mother or son," said senior leader Mani Shankar Aiyar earlier this week. Rahul Gandhi is also expected to name his new team, once he his formally elected, though that is likely to be delayed to after key assembly elections in Gujarat and Himachal Pradesh this year. A new Congress Working Committee or CWC, the party's highest decision making body and office-bearers are expected to be in place before the next batch of assembly elections next year and before the 2019 national election, when the Congress hopes to rebound after its debacle of 2014 when it could win only 44 parliament seats, its lowest ever by far. Last month, Rahul Gandhi said on a trip to the US that he is "ready" to lead the Congress, which hopes to also position him to take on Prime Minister Narendra Modi when he seeks re-election in 2019. In the last two days, most state units of the Congress have rushed single-line resolutions urging the 47-year-old Mr Gandhi to take over as party chief. They have also authorised the Congress president to announce new state chiefs, an exercise that was to have been completed by all Pradesh Congress Committees or PCCs by yesterday, but some like the Uttar Pradesh Congress and the Haryana Congress are expected to do only by Friday. Sonia Gandhi is expected to call a CWC meeting and decide on a date after Diwali, October 19, for the elections. If there is a contest for the post of party chief, then PCC delegates will vote. The Congress has assured the Election Commission that it will finish internal polls by December. It is supposed to hold elections every three years, but it last did in 2010, when Sonia Gandhi, who has served the longest in that post, was elected for the fourth time. She only faced a contest once, in 2000, when senior leader Jitendra Prasada challenged her. Sonia Gandhi, 70, has indicated that she wants to step down and the CWC had made several requests to Mr Gandhi to take over as party chief. It did so earlier this year soon after assembly elections in four states, including Uttar Pradesh, swept by the BJP and where the Congress fared poorly. The Congress's recent losses in elections have been blamed by political rivals and analysts on Mr Gandhi's leadership, but leaders of his party have staunchly supported him. The key challenge for Rahul Gandhi is to project his party as a viable alternative to the BJP-led NDA and prove that he is capable of leading not just the Congress, but a coalition of opposition parties to take on PM Modi in 2019.